Have you ever been wandering around Neopia with your pet and wondered where all the cool places are that all the other pets and their owners are talking about? Well, here is my list of Best Kept Secrets in Neopia! 1. The Igloo Garage sale. Located on top of Terror Mountain, this igloo garage sale owned by Mika and Carassa (two lovable Chias) is a GREAT place to visit if you are in the mood to shop, but are short on NP! They restock their garage sale (with items they have bought from shops all over Neopia) at regular intervals just like the other stores. Unlike the other stores, however, they have much lower prices! They sell everything from furniture, to food and books, and even sometimes codestones and Faeries! Beware though*sometimes Mika gets carried away with her pricing and will sell things for way more than they are worth. Be a frugal shopper and you could find the deal of the century! 2. The Magic Shop. Located on the main shop page, this shop is run by Kauvara the Kau and sells all manners of magic items from motes and potions to Faeries. Yes, I said FAERIES! And, the price on these Faeries is unbelievably low*usually 500 NP or lower. But the Faeries sell out fast so go early and be ready for the restock! 3. The Tiki Tack Tombola. Located on the Mystery Island, this feature of NeoPets use to charge you Tombola coins for a chance to win great prizes. Recently, the Tiki Tack Tombola reopened its doors and it giving one free chance at winning to each Neopian each day! If you haven't visited yet, you should really check it out. Even if you don't win a great prize, you can still win a booby prize! 4. New Features. Access all of the cool, new information about Neopia by clicking the NEWS link on the sidebar of your screen and see all the latest news each day. This is a great place to visit to find out all the new items being introduced in the shops and around Neopia. They also show new pet designs and new games! Always check the news and keep your pet well informed! 5. Giant Omelette. Located on the Plateau in Tyrannia, this place is a great place for rich and poor Neopians alike. If you don't know yet, each Neopian can get one free omelette each day by visiting the Giant Omelette! And if you're lucky, you might even get a rare omelette like a tomato one! Beware though*if you try and get more than one omelette a day, the Omelette Supervisor (Sabre-X) will tell you to get out! 6. The Wheel of Excitement. Located in Faerieland, this fun game is not only a way to delight your pet, but you can also win big NP (10,000!) or other items. Sometimes the light Faerie will also raise your pet's abilities or heal you for free! As with most games, be careful though, because bad things can happen too. You can only visit the Wheel of Excitement once every 45 minutes, so keep track of your strategy for hitting the big 10,000 NP spot and you could get rich quick! 7. The Healing Springs. Also located in Faerieland, this place is run by the Water Faerie, and can help you heal your pets for free! Many times she will even give you special potions. You can only visit every so often though as the Water Faerie's powers are limited. If your pet is sick, be patient and the Healing Springs will heal you for free eventually! 8. The Neopian Pound. Looking for a new friend for your current pet or a strong pet to use in the Battledome? 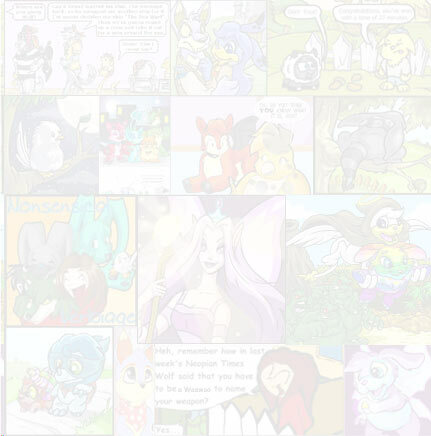 If you click on the Pet Central link on the sidebar of your page, you will see a link to visit the Neopian Pound. Many of the pets in the pound are there because their owners no longer wanted them. If you are patient, you can often find very developed pets there, as well as ones that are just plain cute! Save your NP though, because the better the pet, the higher the adoption price. Even the good pets are still very affordable though. 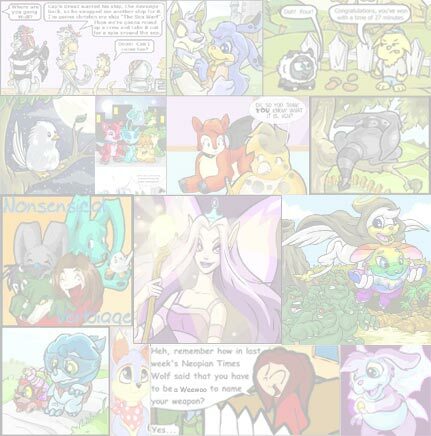 Check them out and give a NeoPet a good home! Hopefully, you will think these are some of the greatest and Best Kept Secrets of Neopia too! Keep looking, however, and you are sure to find more! A group of pets use magic to help fight the Sakhmetian War. The last thing I saw before I plunged into the depths of the volcano was the faces of my friends, frozen with horror. After everything goes horribly wrong, a Shoyru finally finds a stable home. Mel the Kyrii has a long road ahead of her in this transcribed classic.